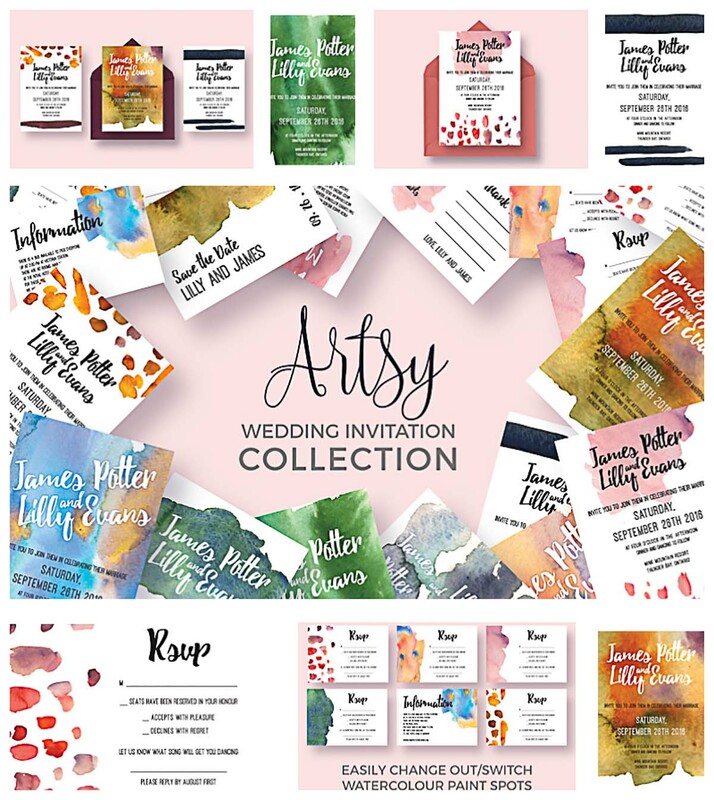 Compilation of colorful hand painted wedding invitation cards, menus, save the date cards , thank you cards and postcards for your wonderful designs. All text and font colors are editable. File format: .psd and .jpg for Photoshop or other vector software. Tags: abstract, art, artistic, colorful, hand painted vector, invitation, menu, paint, watercolor, wedding, wedding invitation.